I say ‘thank you’ very frequently, every day, in fact. I have a very strong southern upbringing so ‘thank you’ has been heavily ingrained in me by my “Emily Post” of a mother. I say ‘thank you’ when people open doors for me, when my kids finally remember to put their plates up after supper, but also when my partners do business with me. It’s important to remember that people have choices. People choose to hold the door, my children choose when they want to obey, and my clients choose to do business with me. I believe when I am grateful for someone’s good decisions, they deserved to be thanked. Chick-fil-A is a prime example of politeness having an impact on their success. This Business Insider articles states, “Analysts have said that customer service is key to Chick-fil-A’s success. Superior customer service drives higher sales per unit, contributing to the chain’s ability to generate greater revenue than chains such as KFC, Pizza Hut, and Domino’s with more than twice as many US locations.” I love walking into a Chick-fil-A, greeted by a smile and some good ‘ole southern hospitality. It helps that their food is fantastic and very convenient when managing the hectic schedule of a family of four. But Chick-fil-A knows that busy families, like mine, have a choice. And they use politeness to their advantage, driving my family to frequent them nearly each week. Do you want to know the best part of saying ‘thank you’? It doesn’t cost a thing, not one penny. But the payout can be tremendous. Taking a phrase from my 9-year old, I dare you to try it this year. If a little peer pressure doesn’t work, think about this. Being polite isn’t going to get a door slammed in your face. It isn’t going to make you lose the respect of your children. And it won’t even make you lose business. Aren’t you just a little curious as to the impact it could have? As the CRO of a growing data company, my goal is to never lose site of the power of ‘thank you’. 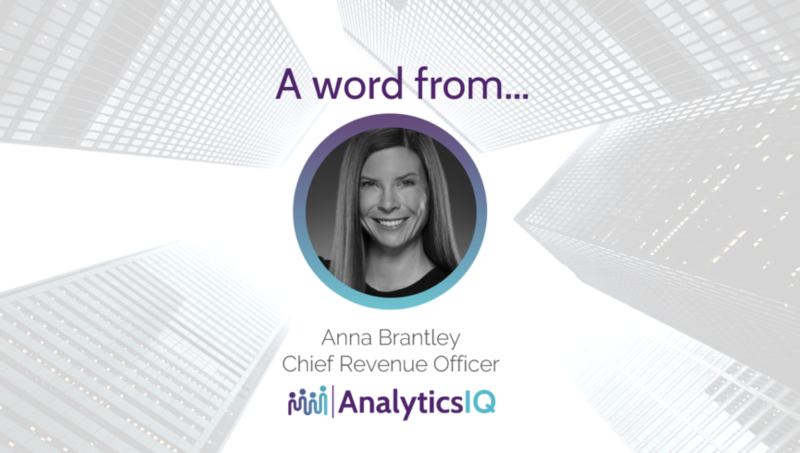 I thank the team here today for making AnalyticsIQ a place I’m proud to work for, and I thank my clients for putting their trust in us and allowing us to help them solve problems each day. And as our team continues to expand, I hope our clients never stop feeling this true appreciation from our entire organization. And I’d be remiss if I didn’t say ‘thank you’ for spending your valuable time reading this post. Let’s make 2018 the year for an attitude of gratitude!